This page lists all the people who have been very generous to sponsor Go Berserk. Please go here to see the people we would like to thank for supporting us in other ways, and here to see reviews of the Go Berserk resources. Allstate Northern Ireland is the largest IT Company in Northern Ireland with over 1800 employees across 3 locations in Belfast, Londonderry and Strabane. It provides high quality software development services and business solutions in support of its parent company, the Allstate Corporation. Allstate is the largest publicly owned Property and Casualty Insurance Company in the US. "This is the way IT skills should and will be acquired going forward; a new paradigm, a tour de force." Northgate Managed Services is one of the UK's leading IT services companies providing managed, cloud based and infrastructure services to public, private and third sector organisations throughout the UK. With over 30 years' experience in the education sector, Northgate provides technology services and solutions to over 1,300 schools across the UK, successfully supporting more than 360, 000 teachers and learners. "Through sponsorship of Go Berserk, Northgate aim to continue engaging with primary and secondary school children and bringing them something different that stimulates their future interest in technology." Based in the heart of Belfast City Centre Liberty IT is a vibrant software development operation. Liberty IT's mission is to create applications for its parent company Liberty Mutual in support of its world leading insurance products and services. Liberty IT currently employs 250 software professionals in superb modern offices. 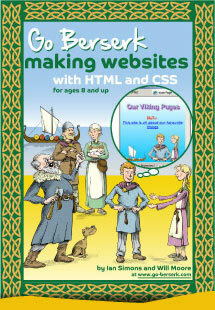 "This book gives children a great insight into the exciting world of software development." The future for Citi Belfast has to be around delivering value to Citi through innovation, focusing on re-engineering processes to improve productivity and controls, on innovation, both from within our organisation and in collaboration with local universities. The aim is to establish Belfast as a global centre of excellence for re-engineering and innovation within the Citi network. "This is a great way to capture the imagination and interest of the next generation of technologists." The Arts Council is the lead development agency for the arts in Northern Ireland. We are the main support for artists and arts organisations, offering a broad range of funding opportunities through our Exchequer and National Lottery funds..
Go Berserk has received funding from the Arts Council through the Creative Industries Innovation Fund which we are using to create an eBook. TotalMobile has been successfully developing and selling enterprise software for more than 25 years, initially as TASK Software, then since 2001 as Consilium Technologies and now as TotalMobile Ltd.
TotalMobile provides the TotalMobile App Platform to a range of Government, Private Sector and Healthcare customers in the US and Europe, as well as throughout the UK and Ireland. We also work with a range of software and systems integration partners. Our partner related business more than doubles every year. "The future winners will be those countries and companies that have the best software development skills. Therefore we need as many of our kids as possible to be able to read code. 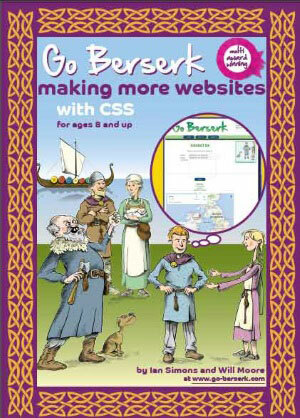 Go Berserk is one of the best initiatives I've seen to deliver this. Every child should have access." CME Group provides the widest range of futures and options products available on any exchange, covering all major asset types. We provide trading platforms to allow traders and firms to trade over-the-counter products together with futures, swaps and options. The CME Belfast office is an inspirational and innovative technology and support centre delivering to the global CME Group business. Officially opened in October 2012, the office has grown substantially to 150 employees and we expect to continue to grow. "Through sponsorship of the Go Berserk book, CME Belfast can play an important part in the development of key technology skills within our youth. I'm sure we can all remember at least one inspiration from our younger years that helped influence and shape our careers, and this type of material can help generate that spark in a child, which can lead on to much bigger and better things." Fujitsu is the leading Japanese information and communication technology (ICT) company offering a full range of technology products, solutions and services. We have a strong history in Northern Ireland with a 35 year track record working with public and private sector organisations helping them to achieve their business objectives. Fujitsu's services and solutions touch the lives of millions of people each day through a range of everyday transactions online and on the high street. Fujitsu currently employs over 800 people in Belfast, Antrim and Derry/Londonderry. "Fujitsu is delighted to sponsor this book which teaches Northern Ireland primary and secondary school children essential IT skills in a fun and engaging way." Kainos are one of the longest standing independent digital technology companies in the UK - 28 successful years in business. They employ over 650 staff, directly supporting the technology needs for over 150 global customers. They offer digital solutions in three primary markets: Healthcare, Government and Financial Services. "Go Berserk is a great way for kids to have fun while learning - and learning skills which will be fundamental throughout any future career. Fantastic."